With wedding shenanigans officially over (we had a second reception on Saturday night) and work on the old house starting on Friday, I'm feeling a little more free to actually think about how I want things in the new house to look. The first room getting a makeover as soon as the old house is sold is the living room. I cannot handle the dusty rose. 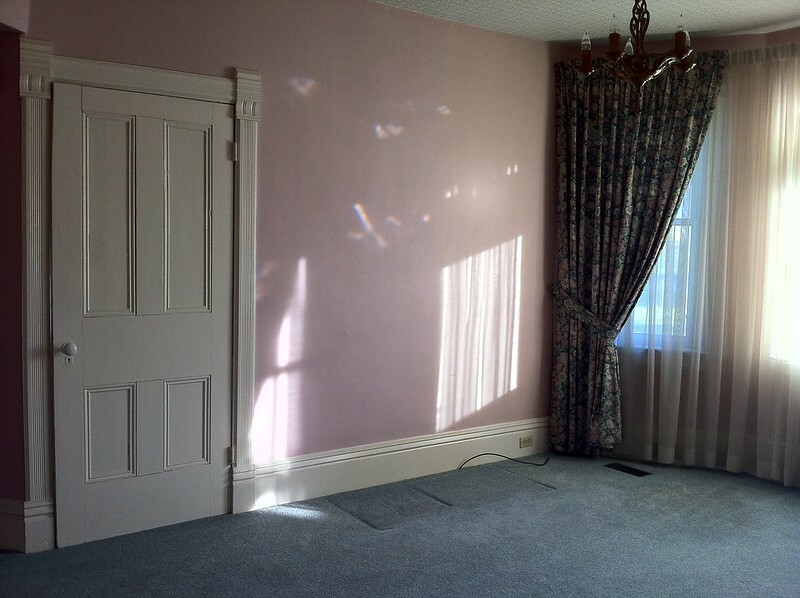 Or the curtains. Or the mint carpet but I think I'll have to learn to tolerate that for the next 15 to one hundred years. At least it's soft. 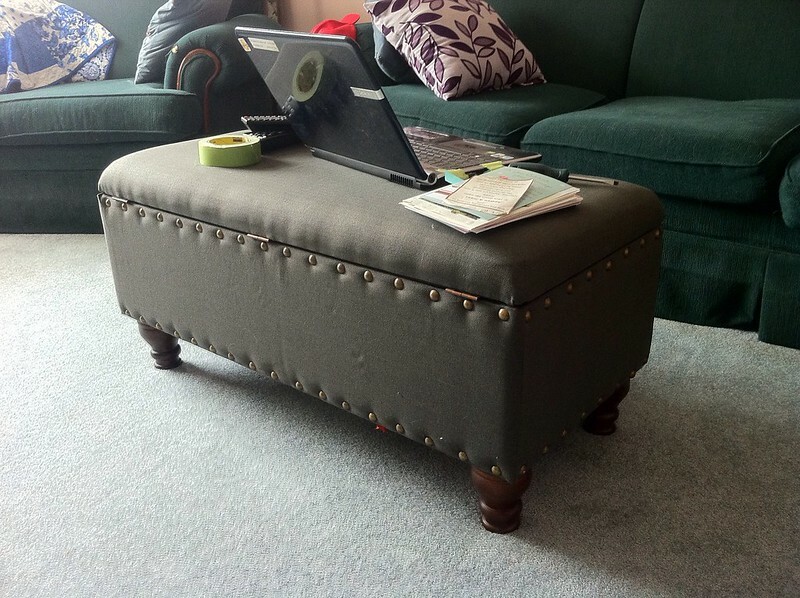 Mike and I made two real furniture purchases in the past week or so, and one of those pieces is this upholstered storage ottoman from HomeSense. I usually find furniture from here to be pretty pricey, but this wasn't too bad...especially since we had a gift card to burn. It's a great size and shape for us to use as a coffee table, and the fabric and oversized nailhead trim make me happy, despite it not being the most high quality thing in the world. Mike's actually the one who spotted it so kudos to him. We've got our eyes on this sectional, which I'm hoping we pull the trigger on sooner rather than later so that we can send the green beasts elsewhere. Can I just say that it's really, really exciting to be planning to decorate a room that doesn't have to be torn entirely apart? !